For anyone interested, my debut novel, set in contemporary Vietnam, is now available for Kindle readers and is currently listed at $8.99. A pretty amazing lunch for just over $8. I've been away for far too long, I know. I've missed innumerable chances to blog about food and travel during the last year-and-a-half I spent living in Vietnam. Last month, however, I moved with my Japanese girlfriend and two Vietnamese cats to Kanazawa, Japan, which a close friend from Nagoya swears has the best seafood in the entire country, and until I get insanely busy again I feel I ought to do the town's food and culture scenes justice by blogging as regularly as possible about both. 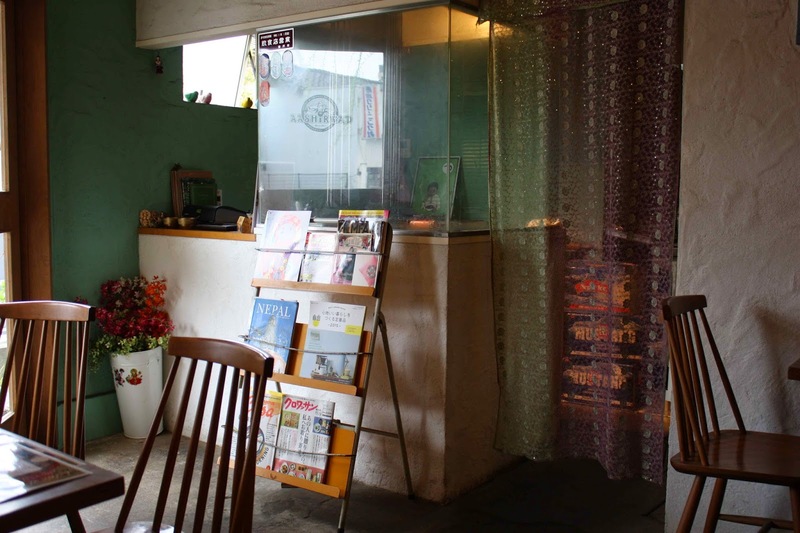 Having said this, it's rather ironic that I'm starting up again with a post about a Nepalese restaurant in Kanazawa. But that's fine. I just need some momentum, and the mood really struck me with force this afternoon. To be honest, I'm not sure why I'm restarting this now, as I take off in only one more week to do a two-month reading tour in the US and Canada for my recently published novel, Lotusland. In any case, with the weather being rainy and extremely windy, we decided to stick close to home, which is in the Korinbo area of Kanazawa. 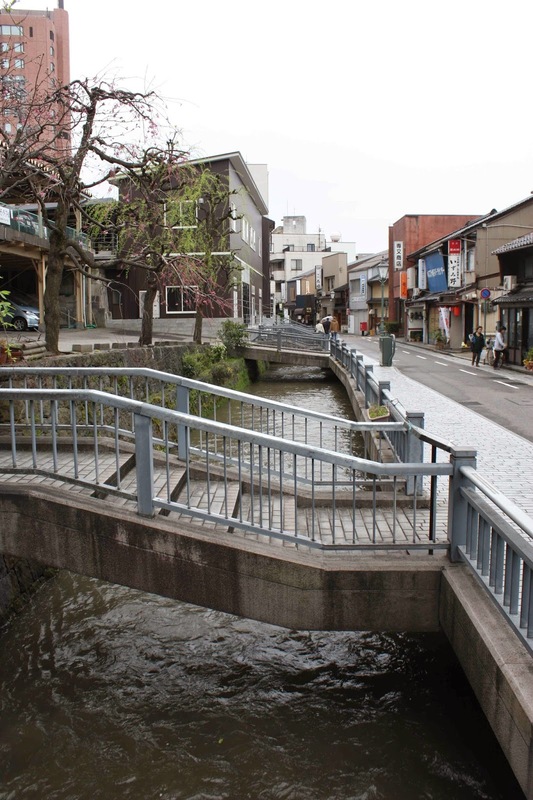 Just a two-minute walk from our apartment is Seseragidori, a narrow, meandering street known for its small boutique shops, cafes, restaurants and izakaya. 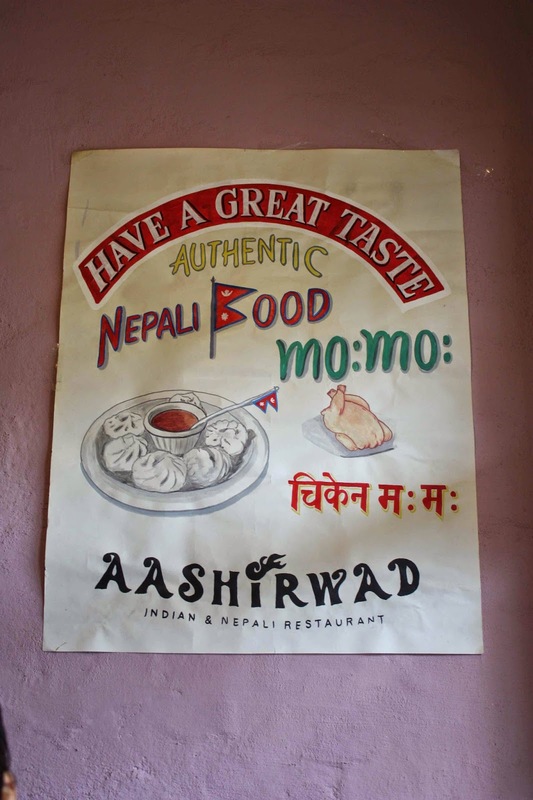 In the mood for a lighter curry than most Japanese versions, we headed for Aashirwad, a Nepalese restaurant we've been to before. I have no idea why more people weren't here for lunch. This is one of the city's better options for non-Japanese food, and the menu is as reasonably priced as anywhere. Colorful interior, too. I love the embroidered wall hangings. 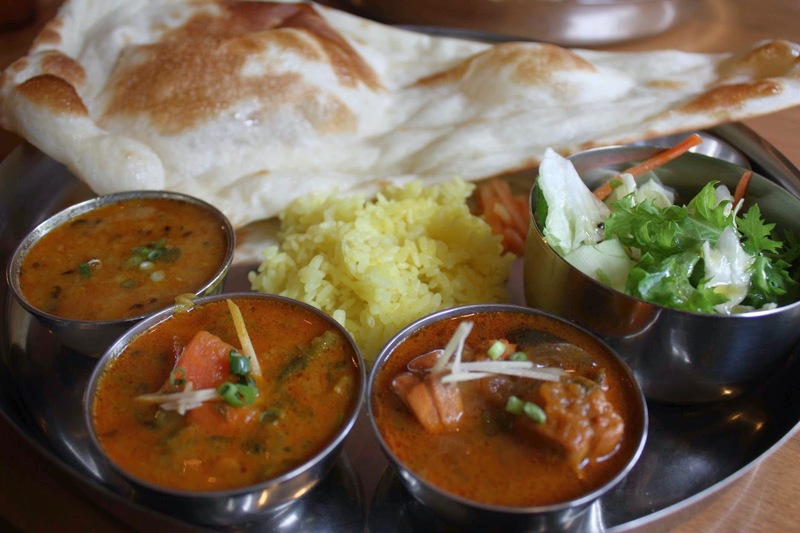 They offer several vegetarian options for lunch and dinner, and I settled quickly on a ¥1000 set lunch that included a huge slice of naan, three small bowls of curry – lentil, vegetable, and chicken – a small salad, a dollop of pickled onions, and two or three spoonfuls of yoghurt for dessert. My girlfriend opted for the vegetarian curry with naan and yoghurt, which was only ¥800. The curries here, in addition to being inexpensive, are uniformly good. But they also have a rather uniform taste. In other words, there's not much difference in the curry bases used, or at least I didn't detect much difference. I didn't mind, however, as the curries were excellent, and thankfully not too spicy. (As in most curry restaurants, customers can request whatever level of spiciness they're comfortable with.) The naan was soft but not greasy, and the salad was a nice contrast in color as well as texture to the three curries, but the dressing was salty. There was nothing special about the yoghurt, though it was a nice way to polish off our lunch. I left the pickled onions untouched. 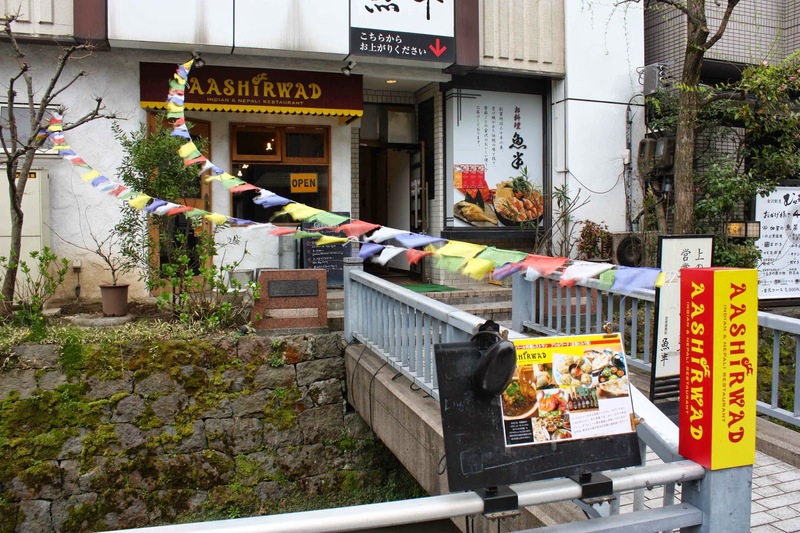 Aashirwad is easy to spot from the street with its colorful prayer flags strung over the canal from the shopfront to the sidewalk. 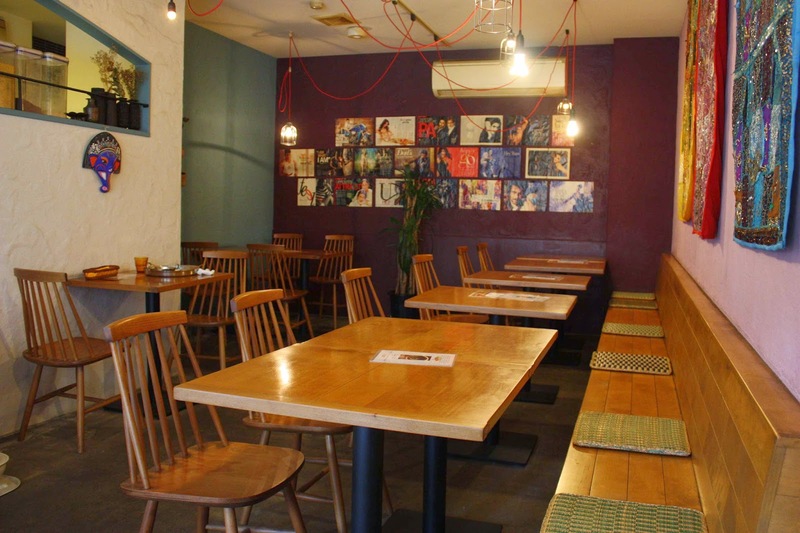 It's very low-key, and the staff, who are Nepalese, are easygoing and friendly. 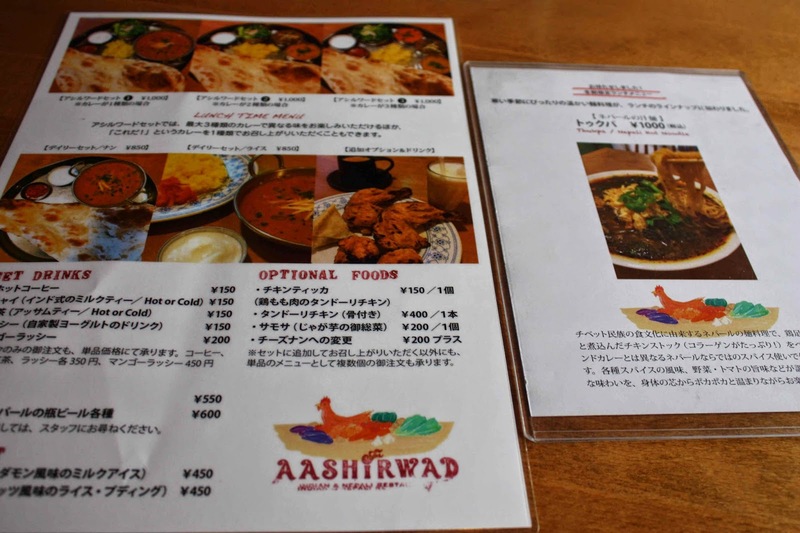 Aashirwad is open for lunch from 11:30 - 3:00 and for dinner from 18:00 - 22:00. They close on Mondays and on the first Tuesday of every month. Note that like many businesses in Japan they only accept cash. My Novel Is Now Available & Happy New Year! Tender, brutal, authentic, Lotusland captures the romance, disenchantment, and discoveries of expats living high and low in Vietnam. Joiner weaves a fine story. Lotusland transports readers far away from narratives about the Vietnam War. David Joiner takes Vietnam as many people have come to know it and shows what it’s like today. A wonderful, important debut. 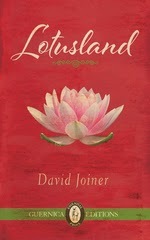 For anyone interested in literary fiction set in contemporary Vietnam, please give Lotusland a look. 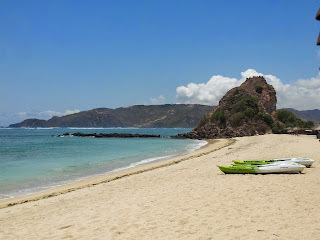 The Novotel in Kuta Lombok certainly had a nice beach, but not much else. 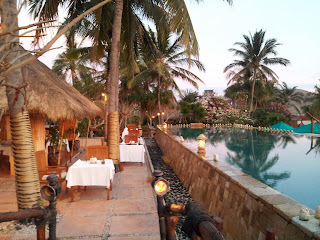 For our final day (and two nights) in Lombok we decided to stay in Kuta at the Novotel. As soon as we entered the grounds I had a feeling that the hotel was the wrong choice. The drive from the hotel's entrance to the hotel itself took about 10 minutes, which put the town out of easy reach. (The hotel offers no shuttles to or from town.) This meant we were to a large extent stuck at the hotel. Don't get me wrong, the beach and sea here are gorgeous, and Kuta isn't exactly a thriving place (though it has some of the best surfing in SE Asia, and is also famous for the Bau Nyale Festival, held every February and attracting more than 100,000 people who come to celebrate the appearance of masses of sea worms), but the Novotel left a lot to be desired. 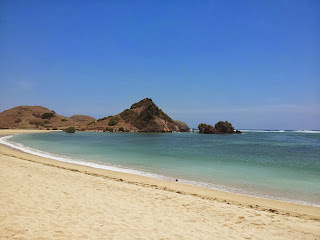 Like I said, the beach and sea here are incredible. And sunsets are pretty nice, too. Of course, both restaurants open after dark, and most guests who come beforehand are herded into the beach bar for $10 drinks. No complaints about the pool! They nickel-and-dime guests beyond what seemed reasonable, and it quickly got annoying. For example, the hotel charges a premium ($30/day) for reliable Internet – the free Internet hardly worked while we were there, and didn't work at all from our room. Forget to return a beach towel? $15 charge. 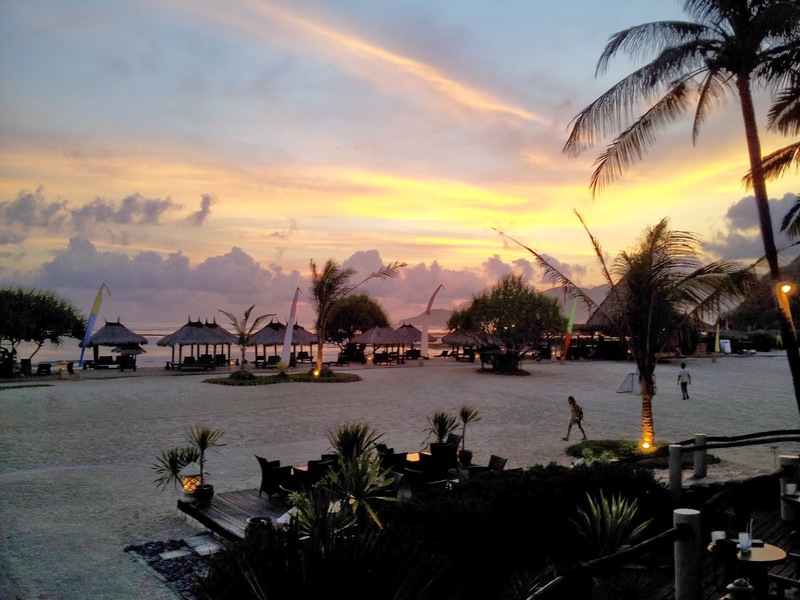 Food prices were jacked up because the nearest alternative to the hotel's restaurants (both of which only open for dinner at 7 p.m.) is several kilometers away, so you have no choice but to pay whatever they ask. For breakfast, the buffet is mandatory and costs $18/person – and the food items (when they'd actually been replenished) and serving spoons were often covered with flies and sparrows. In fact, the fruit had holes pecked into them by sparrows. I even saw one restaurant worker drop food on the floor and put it back on the tray for the guests to eat. What's more, the "authentic beach market" at night that the hotel touts sells nothing but junk and the sellers are pushy. So...as you can tell, I was far from impressed with the Novotel here. 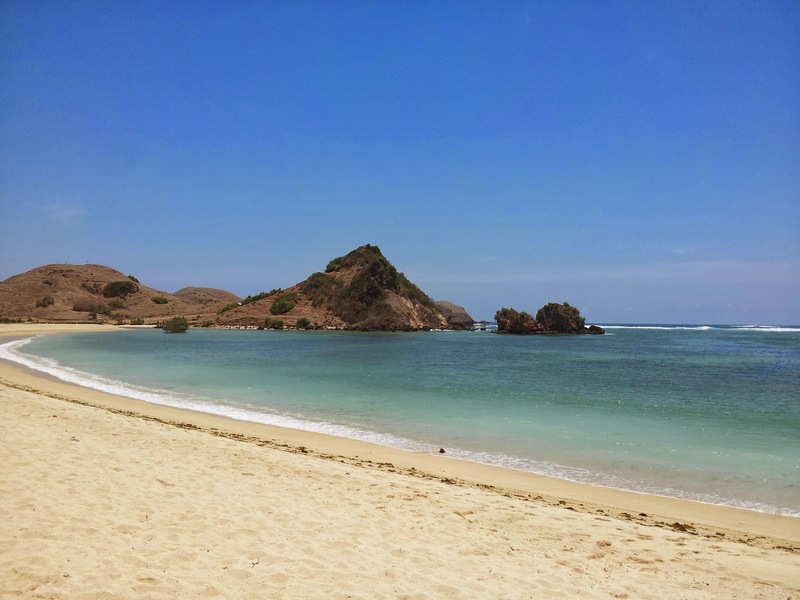 Again, the beach here is lovely, the rooms are adequate, and the hotel offers various diversions to keep guests occupied if they so desire, but for the rest...I highly recommend staying in town, even if there's not much to Kuta Lombok. Is this plate of lukewarm, greasy food really worth $16? 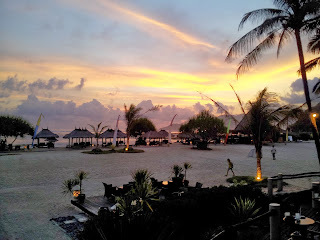 After our stay here we headed back to the airport and transferred to Bali, where we overnighted in a hotel near the airport. 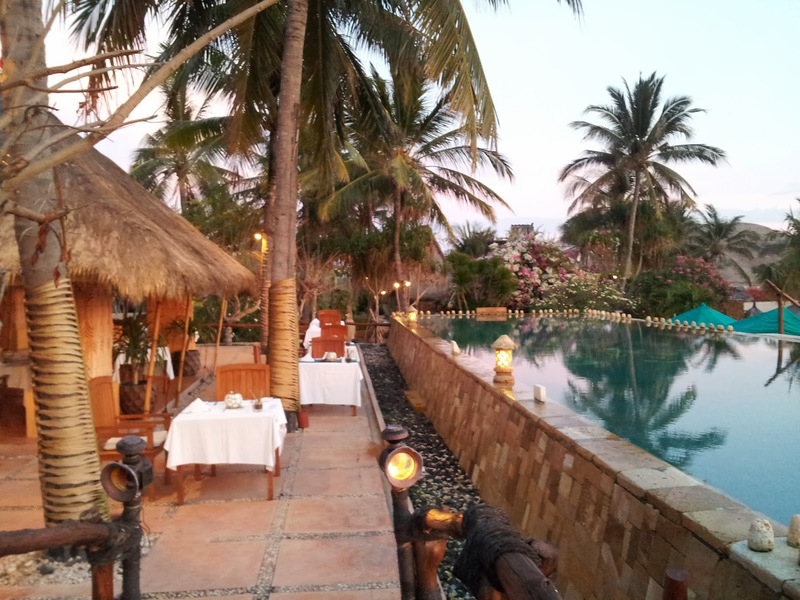 After that, it was back to Saigon, and after a few days of seeing friends there we made our way back to Mui Ne. Lombok ended up being a great place to visit, and while I wouldn't necessarily rush back to see it again, I would definitely be interested in traveling to Sumbawa – the island to the east of Lombok – which is less developed in terms of tourist infrastructure but looks incredible. Sometimes staying in nice hotels leaves me wanting to rough it for my next trip. This was one of those times.